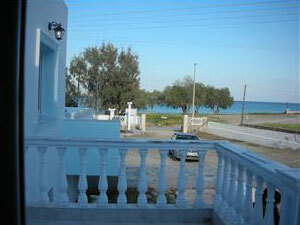 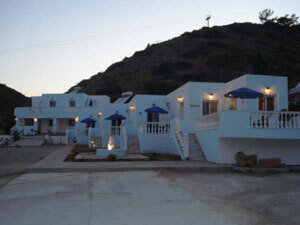 Beautiful New Studios which is located in the area of Pigadia, 2km distance from the center of karpathos. 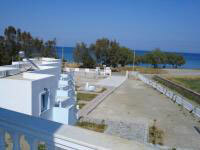 In the distance of just 10 meters from the studios the famous clean sandy beach of Vrontis extends, with a total length of 4km. 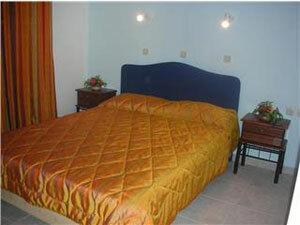 Umbrellas & beds are available on the beach. 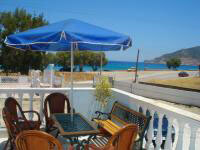 Our guests can rent our umbrellas for the whole day and spend their time under the sun in safety. 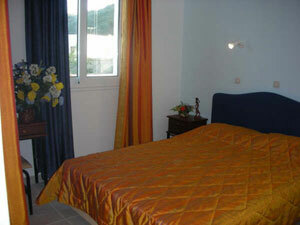 Iris Studios has 7 studios all with sea and Pigadia town view, a reception, garden and a big parking area. 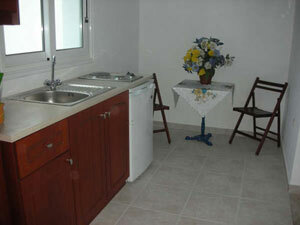 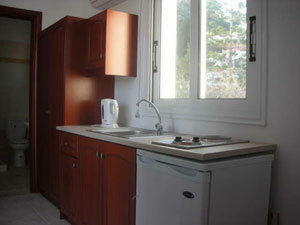 The studios include bathroom with a shower, A/c, TV, Kitchen with a fridge and can be used by 2 adults & child. 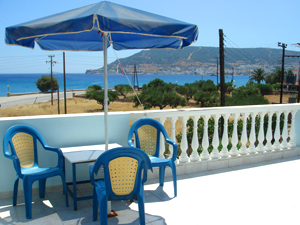 We also provides for our guests FREE Wi-Fi Internet access so you can check your emails browse the internet or chat with your friends abroad.